Returning back to his roots, both physically and metaphorically, founder and winemaker, Varuzhan Mouradian and his family moved from California to Armenia. Having fallen in love with wine, he knew he had developed a passion for making wine he couldn't ignore. Van is an ancient capital of Armenia with rich winemaking history, where the family's ancestors are from. 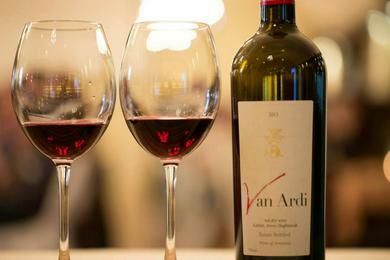 The winemaker and family named the winery Van Ardi, meaning "sun of Van". Van Ardi is a boutique winery based in the ancient wine region of Ashtarak, Armenia. It overlooks its own vineyard estate on small rolling hills with slopes facing south and southeast. The soil, consisting of volcanic sandstone and rich in minerals and tufa, is ideal for the growth of quality grapes. 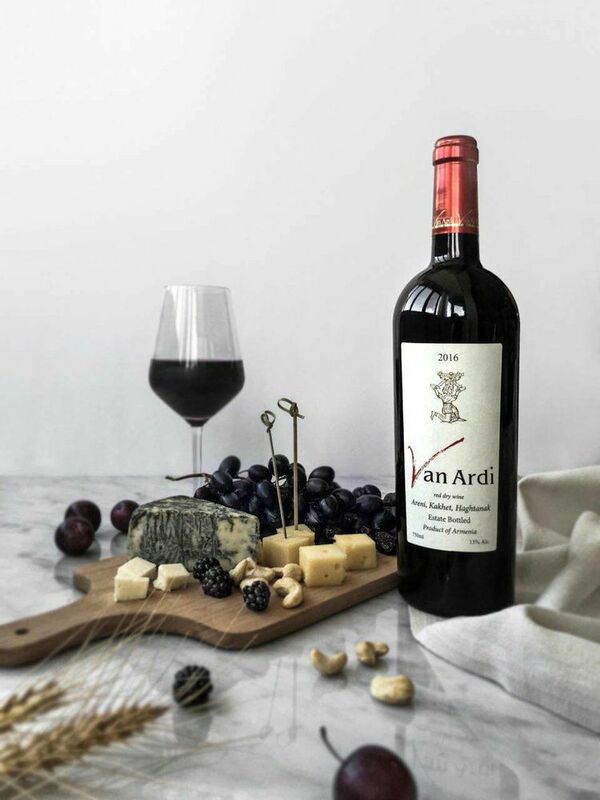 Only in its second year of production, Van Ardi has already won impressive prizes such as the first place rank at the Areni Wine Festival and the Best Red Wine in Armenia for the Syrah reserve. In 2014, Syrah Kakhet Reserve won gold for its elegant harmony of aromas such as red berries, spices, coffee, chocolate, and oak. In 2015, Rosé received a silver medal for its body, harmonious sweetness and minerality, and gracious notes of red berries and dried fruits. This year, Van Ardi participated in the widely respected international wine competition, Mundus Vini, for the first time. After a month of anticipation for the results, 160 wine experts from around the world chose Vana Ardi’s “The Sun of Van” as one of the top 100 wines from all over the world. Van Ardi is currently exported to France and Russia and will continue to pursue opportunities in many other countries.